This book is a collection of tactile experiences that can be provided by our small crawlers (or sometimes flyers). 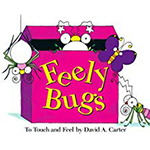 There are feathery bugs, lacey bugs, wrinkly bugs, and many more. If you know a more “hands-on” reader, this is your answer. This is a book that encourages touching. Don’t let the title fool you, this book does not pull any punches when it comes to bird species. Nine basic colors are covered with two representative birds each. The Northern Cardinal and Blue Jay are represented, but so are species like the Hermit Thrush and Ruby-throated Hummingbird. 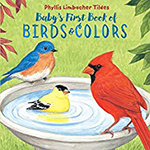 This book doesn’t go into a lot of information about these birds, but it’s a good way to make sure they can pick out a Roseate Spoonbill when they see it. Roz is a robot who first powers up on an island. She has no knowledge of where she came from or why, but she does know that she has to survive. The local animals are not immediately friendly but through close observation, Roz learns their techniques for living in the wild and more importantly, the relationships and balance that they achieve. Roz quickly takes on these natural tactics and even adopts an orphaned gosling. The conflict between technology and nature is explored as Roz struggles to balance her new way of life among the animals and her mechanized origins that come looking for her. 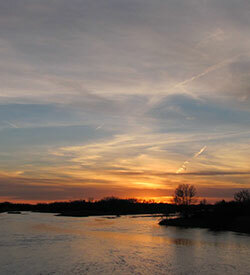 Wednesday, Feb. 27, 7:30  9:00 p.m.
Join a leisurely stroll on some of Oakdale’s trails after the sun has set and darkness rules. It can be a fascinating experience as we learn to adjust our sensory awareness. 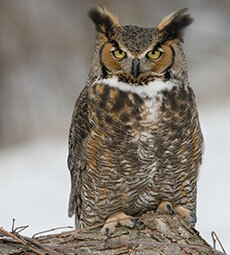 There is no guarantee of hearing owls or other nocturnal residents, but it is a possibility. We will witness how darkness affects our sense of sight and how to sharpen our other senses. If the sky is clear, we might look for some of the constellations. The program will start in the Mogle Center. For questions about this program, call Richard Benning at 815-865-5279. With an adult, visit Elkhorn Creek Biodiversity preserve to watch and listen for American Woodcocks’ performing their amazing courtship display. The “Sky Dance” itself is part ground-strutting and part zig-zagging flight, barely visible in the early evening sky. More fascinating perhaps are the sounds that go with it, the repetitious vocal “peent!” followed by the twittering and chirping sounds made when air rushes through primary flight feathers during the birds’ descent. On a quiet evening, it is pure audio magic. Take a look out the window at your feeders this month, kids. Do you see a small bird with a smart-looking black and white head, pale beak and crisp gray breast? This is a White-crowned Sparrow and is a winter bird for us in northern Illinois. 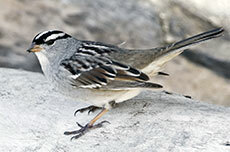 When I see the White-crowned Sparrow at my feeders, I know we are in the midst of a seasonal change. They like the sunflower and other seeds at your feeder but might seem to prefer eating off the ground on the seeds other birds have dropped. White-crowned Sparrows will chase Chipping Sparrows and Dark-eyed Juncos until they leave. A young male White-crowned Sparrow learns the basics of the song it will sing as an adult during the first two or three months of its life. They often sing in the ‘dialect’ of where they grew up but if they grow up on the edge of two dialects, they may be bilingual and able to sing both songs. A migrating White-crowned Sparrow was once tracked moving 300 miles in a single night. 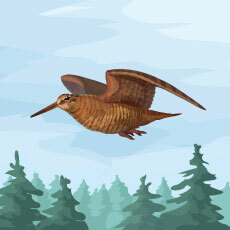 The breeding habitat of this bird is brushy areas, tundra, alpine meadows and forest edges across northern Canada and parts of the western United States. They can be seen in winter busily double scratching the ground to turn up seeds; a backwards scratch to turn over leaves to reveal seeds and then a forward hop to collect their prize. 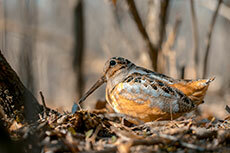 In the spring, when they are moving north, their white and black-stripped helmet is very colorful. In the fall, it is not as colorful. The striped crown makes it one of the easiest sparrows to identify in North America. * Sources include www.allaboutbirds.org and www.wildbirdhabitatstore.com. If there is still snow on the ground, take a trip outside to make snow angels (or snow birds)! Lay down on your back in the snow, then move your arms and legs side to side. While you make your snow angels, look up at the sky to watch for any birds flying by. In the evening, go outside with your family and you might hear some owls! Go outside and try to spot the American Woodcock. This is the best time of year to find one! When the American Woodcock flies, it looks like a nerf bullet! 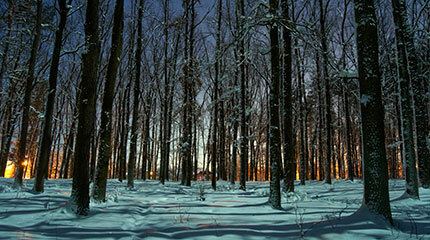 While you are trying to find one, you can take a walk and look for animal tracks in the snow. Since Valentine’s Day is in February, a fun craft to do would be to make a heart owl. Carefully cut out a heart-shaped head, feet, and a set of wings from construction paper, then glue them on to the edges of a paper plate so that it resembles an owl. 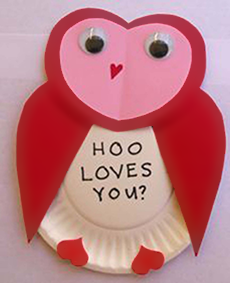 You can use googly eyes or just draw your own eyes on, and write a clever phrase, such as “Hoo loves you?” in the middle.